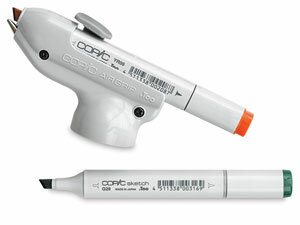 The Copic system is environmentally friendly. Conforms to ASTM D-4236. Air Hose, 1/8 — 1/8 fittings — Designed to work with Copic's Airbrush System, the Air Hose is approximately 80" long and features 1/8" connectors on each end. 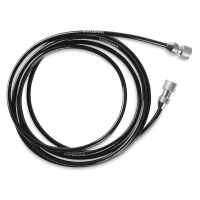 This hose is designed to be used with compressors, not canned air. Set 3 — This professional set includes an air grip and air adaptor, for attachment to larger air cans or a compressor.